Having said that, pony adventure tends to be firmly based in the characters' home country, as taking your pony with you to Tenerife is a bit of a palaver. 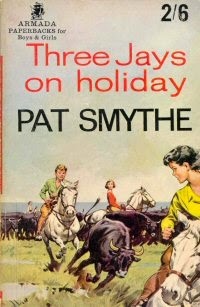 However, you might be lucky enough to ride someone else's horses while you're abroad, and that's what happens to Pat Smythe's Three Jays in Three Jays on Holiday. 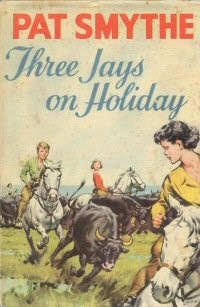 Published by Cassell in 1958, it sees the Jays going to the South of France, where they're supposed to meet Jacky's father and his yacht. 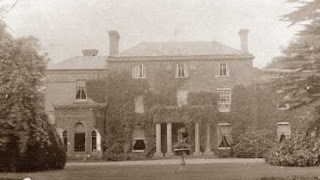 They've persuaded Jacky's cousin, Darcy, to take them there in his Bentley. They're all set to meet Pat in the Camargue, where they get to ride the horses. 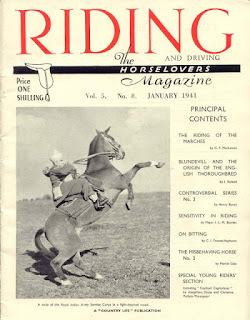 It's an interesting twist to the usual plot, and I wonder if Pat's own globetrotting lifestyle as one of our best show jumpers inspired it.